Garden access unit in legal, 3 family residence - all rooms on one floor with southern exposure and GREAT light all year long. Flexible rental, min 14 days, all year long - whether you want to visit and tour the community for a vacation from your hectic life or seeking housing while you house-hunt or build a home, etc, let the North Fork Residence Inn be your "home away from home ". Unit C, Charles Horton Suite is named for the builder of the original 18th C. home, who s most famous resident was Long Island Civil War hero and Town Judge, Baldwin Tuthill Payne. Since the 1870 s this home has been welcoming guests to our community and we look forward to hosting you, too. Original detailing is apparent in home - wide plank wood floors, quality tile, high end appliances and comfortable furnishings. Living room, Dinning Room, Eat In Kitchen, den/office/bedroom (trundle bed opens to Queen), full luxurious bath and primary bedroom with Queen. Short stay rates are all inclusive; monthly/seasonal/year-round tenant carries utilities, cable, etc. 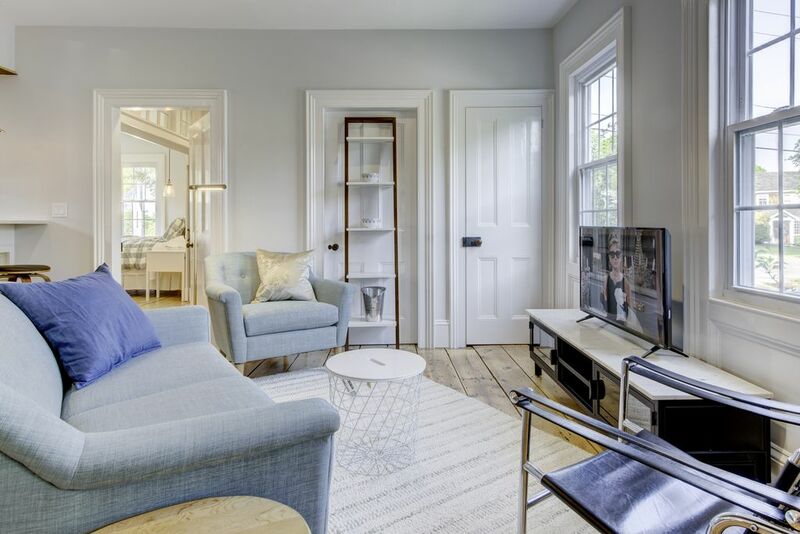 Located moments from the Hampton Jitney and the Southold train station - there is no need for a car; consider a bike and really experience the North Fork every month of the year. Close to shopping, restaurants, wineries and more - including beaches, parks and the natural beauty of the North Fork. Garden area is shared among residents with BBQ (2) outdoor tables & chairs; on street parking. Fully furnished including beach towels, etc - there is no need to bring anything but your enthusiasm and interest in Southold. Broker/Owner are licensed with Town & Country Real Estate. Located in the historic village of Southold, settled in 1640, this home is among the oldest remaining homes of the first generation of Settler's - those from New Haven Colony. Slow food movement, farmstands and local wineries are major attractions to the North Fork, as are our beautiful beaches PLUS boating incl SUP, kyacking and more... Come discover why those who know LOVE the North Fork.